Style Inspiration/Major Eyebrow Envy: Cara Delevingne. 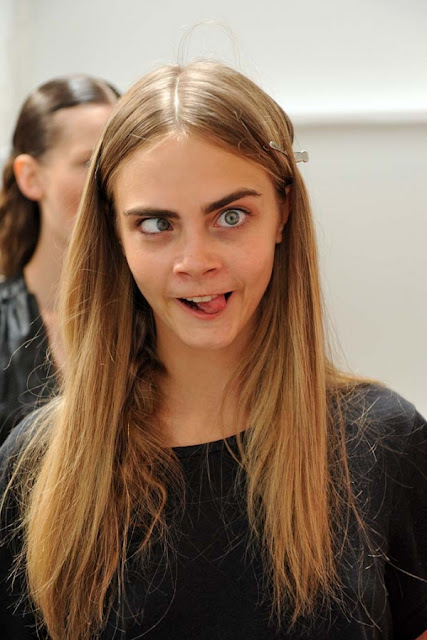 I can't even begin to explain my love for the London beauty that is Cara Delevingne. She's gorgeous, super talented and an all round funny girl. She's been apart of modelling for the likes of Burberry, Chanel, Stella McCartney and Zara. Also, not to mention that I am SO jealous of her eyebrows. I basically have no eyebrows (I do) mine are just so thin and hers are so perfectly shaped and just look incredible. I know so many people wish they could get Cara's eyebrow look. Cara isn't that much older than me. I really love her style because she wears a lot of leather jackets, jeans and t-shirts and I think she's one of the many few that actually dresses her age and doesn't go too over the top when she doesn't need to. I did a Polyvore inspired Cara outfit. She can just take something so simple and make it look fabulous. What do you think of Cara's style/Do you like the outfit I made? I have very light eyebrows. 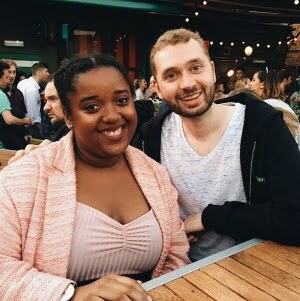 They're thick in width but they're pretty sparse unfortunately and I'm so jealous of her eyebrows, but I think people like us with darker skin are better suited with lighter eyebrows though, it would look too harsh on our skin tone. I haven't heard of her before but oh my goodness she is beautiful!! I love her style :) I'm absolutely hopeless with doing my eyebrows, really want someone to make them pretty for me! Thanks for your lovely comments on my blog recently, I just replied to today's :) I love this post. I seem to have missed out on the whole Cara thing (I'm not very good with models) but she seems like a potential girl crush haha :) My eyebrows are far too high up.